So…if you’ve noticed…we’re kind of on vacation here at VF. Things have just been so hectic in life for both of us, we haven’t had time to write up all the awesome products coming out constantly! I hope that we can start up again in the fall! Wishing everyone a happy happy summer! Another week, another chocolate pairing! We’ve recently explored chocolate with peanut butter and chocolate with hazelnuts, but today I’m talking the dynamic duo of chocolate and raspberry. 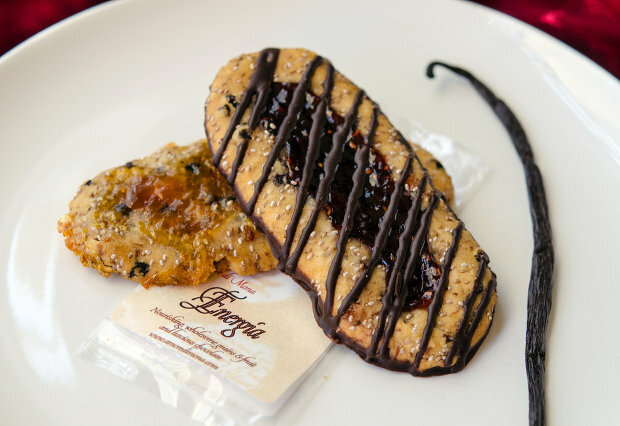 It’s a great combo, for sure, but in Amore di Mona‘s “Energia” bar, these flavors really pop. That’s the dark chocolate and raspberry variety on top, and it is rich and decadent without being too heavy. This bar reminds me of a raspberry thumbprint cookie, but coated with chocolate on the bottom and drizzled with the good stuff on top too. Dark deep yummy goodness. Even better, this bar has omegas and protein and is gluten-free too! But the best part? You can get it as part of a sampler of chocolate goodies over at VeganCuts. Get you some, and have a great weekend, y’all! Another quick post about a chocolate/nut combo to start your week off right. You’re welcome. 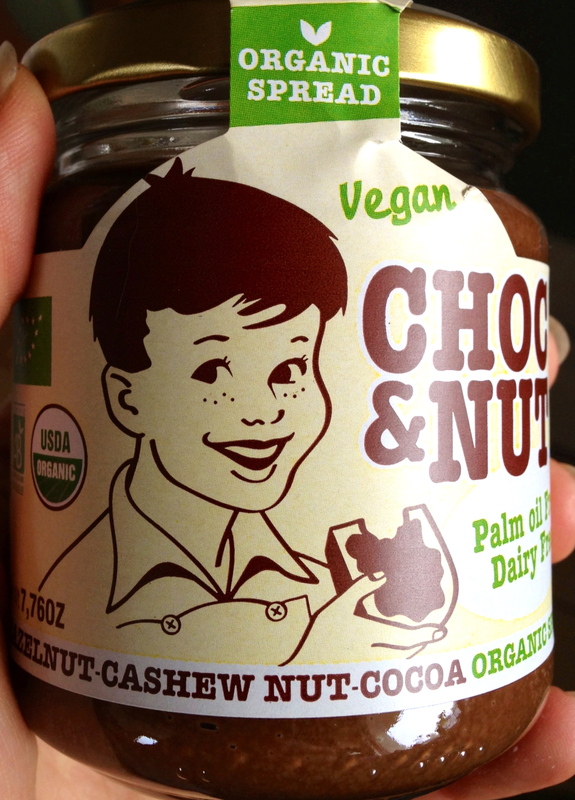 🙂 We’ve written in the past about chocolate hazelnut spreads, but this one by Choc&Nut is my favorite to date. Plus, look how cute! I’m not totally sure what makes this so damn delicious…. the inclusion of cashews and coconut oil to the hazelnuts and chocolate perhaps? I guess the correct answer is who cares because it’s yummy! Spread it on everything and have a great week, y’all. made with chunky peanut butter, y’all! They are mini so you can have one without feeling heavy on top of already feeling frazzled. Or, you know, go crazy and eat the whole package. It’s your hard week and you can deal with it as you see fit. They are made of all organic ingredients and have just a hint of sea salt for that perfect sweet and savory thing that totally kills stress. 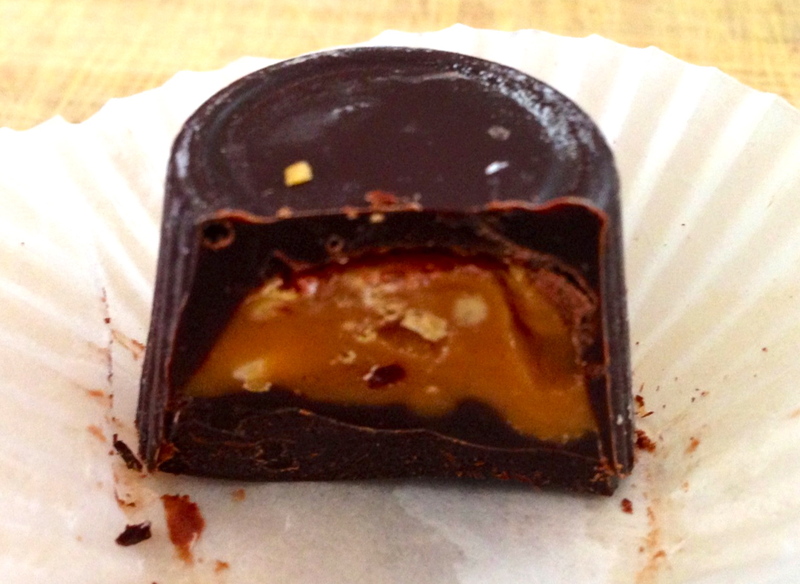 The magic of peanut butter and chocolate, only organically elevated and supremely delicious! Enjoy your weekend. Indulge in a few of these and call me in the morning…. PS- While not all of S&B’s chocolates are vegan, very very many are. And they are super nice and will write back fast if you have questions. That is all. 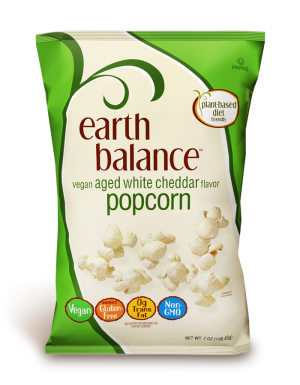 Ever since falling in love with Earth Balance’s new puffs, I’ve been trying to get my hands on their white cheddar popcorn. Well, it’s finally happened and I’m here to tell you it’s just as good as I’d hoped it would be. Actually, it exceeded my expectations! It looks great in the package…. …right? Don’t you just want to put it in your face? 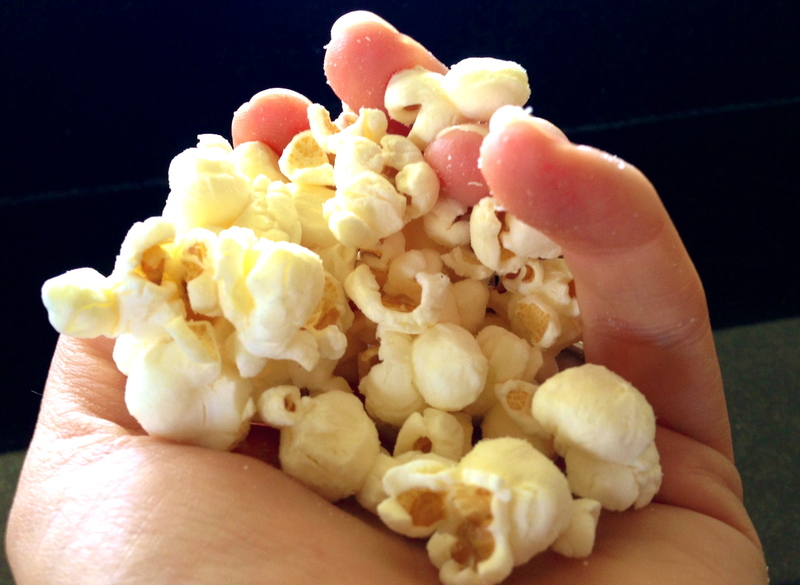 It takes me right back to the cheddar popcorn of my youth, but even better. Not just because it lacks all the gross animal products, but because it actually tastes better too. Savory with a bit of sharp tang and, well, cheesiness! 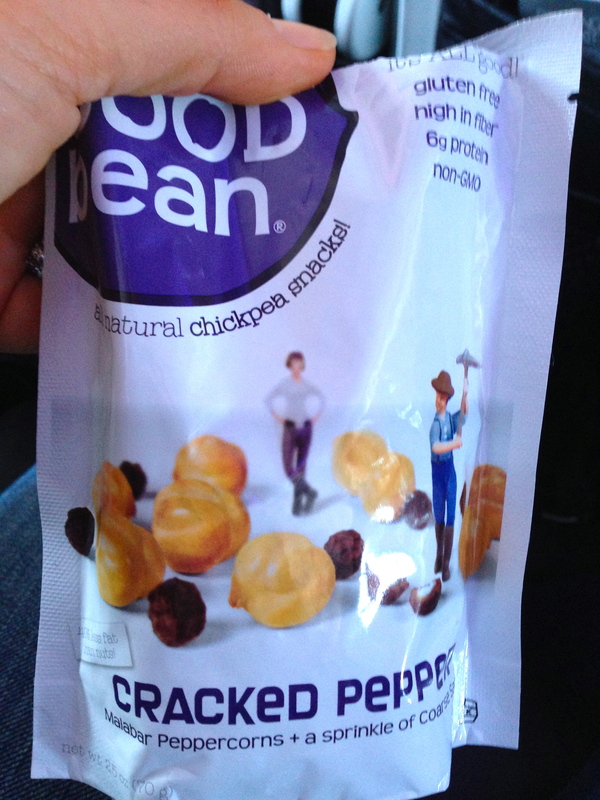 I highly recommend you find yourself some soon (I got mine at Whole Foods). It’ll guarantee this week is full of happy snacking. Have a good one! Made with the in-your-face flavor punch of Malabar peppercorns and with just a dash of salt, these little beans pack huge taste. Not to mention that they’ve got fiber and protein galore, making them a great afternoon pick-me-up on their own, or your new favorite salad addition. Personally, I’m tempted to grind some up and make peppery chickpea-encrusted tofu filets. Who’s with me? No matter how you eat ’em, you’re bound to fall for these “good” legumes. Enjoy… and have a great weekend! Happy Monday, everyone! What better day to get grateful, right? 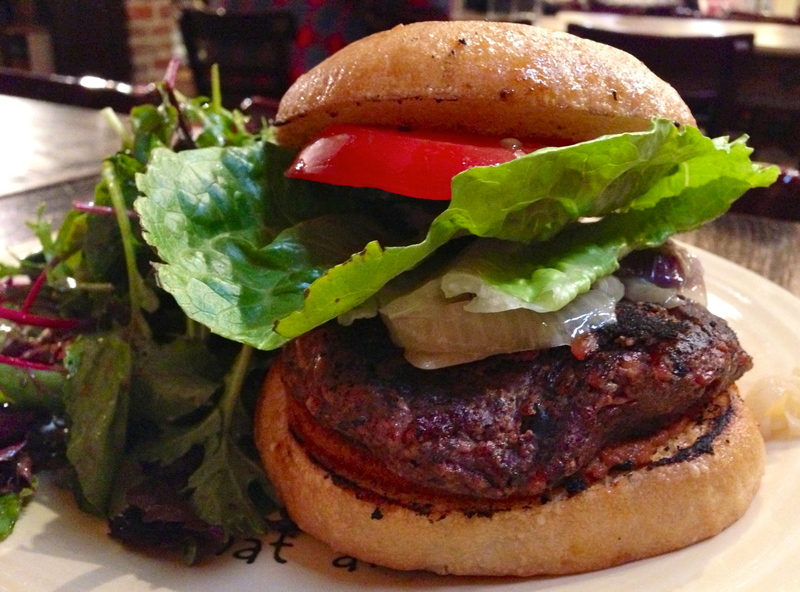 Before you give me any more side-eye, I’m talking about my favorite veggie burger on the planet, the “I am Magical” (ugh, I know) from Cafe Gratitude in Berkeley. I hadn’t been to any CG location since all the hub bub surround their NorCal closings, but I LOVE the L.A. location with all my heart, so I decided to give my “local” cafe another shot the other day. Verdict? Still the best veggie burger ever. Black bean and veggie based and oh-so-good. I know this isn’t a favorite that everyone can sink their teeth into right away, but if you should find yourself in the Bay Area, get thee to CG. I promise to have a more accessible favorite on Friday, you guys. Meanwhile, have a great week! Chambers Lane makes a few varieties of “nut pates” and, based on how good this one is, I can’t wait to try them all. Right here is the rosemary thyme almond version, and those are basically all the ingredients too. There is also some nutritional yeast and onion and garlic, and every component is organic. 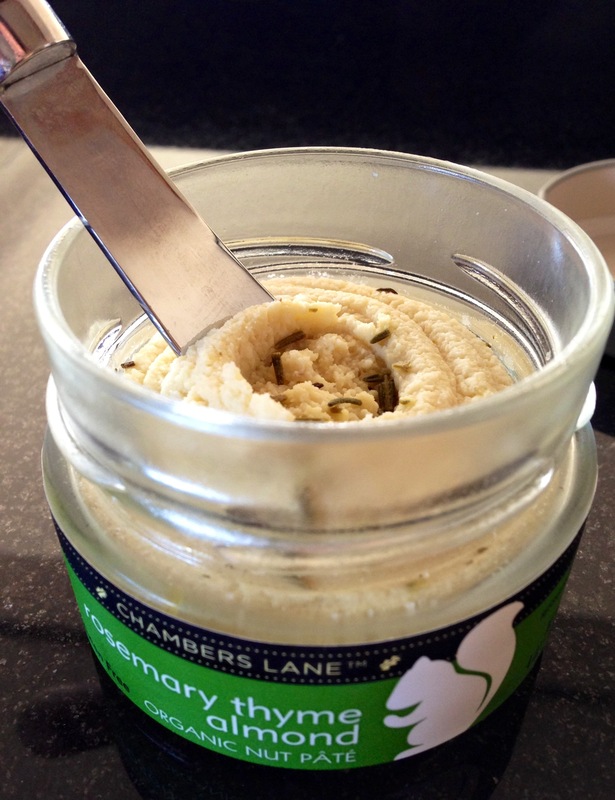 Amazing flavor and great spreadable texture from simple wholesome ingredients? Magic. Sign me up for more! Get your crackers ready, and grab yourself some as soon as you see it hit the shelves near you. Have a great weekend, everyone. It’s springtime, people, and I love it! The birds are chirping, the sun is shining, and the weather is warm as all get out here by the bay. I’ve done some major spring cleaning recently, including a fridge makeover that makes me insanely happy. However, nothing is making me happier today than the spring cleaning I’ve done for my skin. I’ve been to my favorite person ever for a facial, and I’ve followed up with some good self-care at home using products from 100% Pure. My new fave is…. …their Brightening Cleanser. It takes away all traces of make-up and leaves my skin refreshed and supple. Plus, it’s made of completely natural ingredients like sake, strawberries, and aloe. It totally smells like springtime, y’all. I promise it will get rid of those Monday blues, stat. Just add water. 🙂 Have a clean and pure week, everyone! It’s Friday, y’all, and you know what pairs perfectly with Fridays? Beer! Living in California, it goes without saying that I love my wine (remember when I wrote about some?) but I’ve taken a recent interest in beer (blame my Irish heritage), especially those from the local Bay Area breweries. Some are extremely small batch, but my favorite as of late is a goodie you can get just about everywhere. 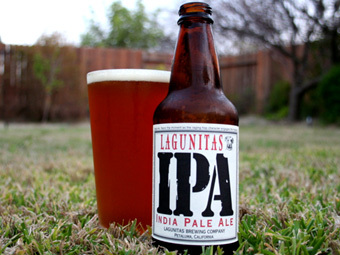 Born a mere hour away from my house, but available at a store near you, the Lagunitas IPA is a real winner. It’s pretty heavy on the hops and a tad on the bitter side, but this is how I love my beers, and this one is still incredibly drinkable, promise. Plus, no filtering with fish bladders or eggs here – just pure unadulterated vegan beery goodness. I recommend it with something spicy… though I had some with hummus and pita the other day and that partnership was pretty darn fantastic. So I guess just drink it with whatever you want… or with nothing at all… it’s just plain delicious!